Kaggle publishes many interesting datasets and one of them was including various world university rankings. I decided to run a quick analysis of the CWUR data and create a map in R using rworldmap package. 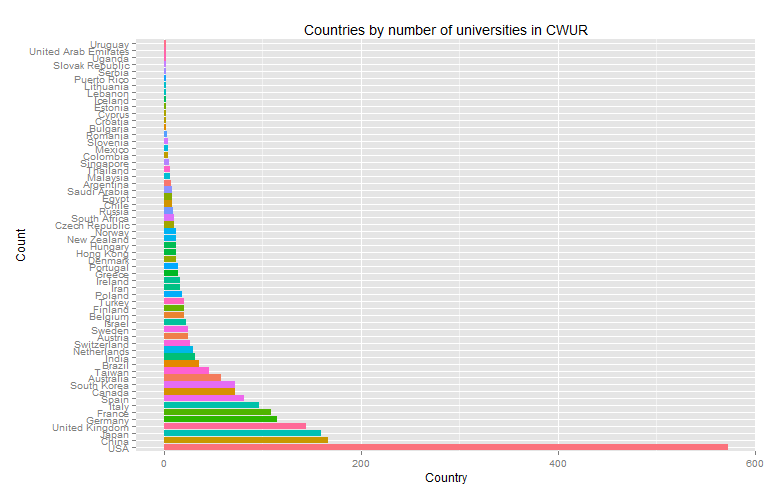 USA and China outnumber other countries by the number of universities in the CWUR data. 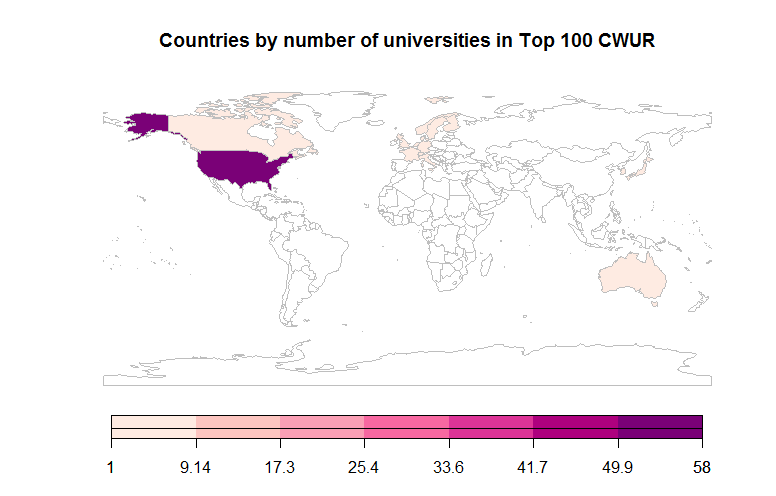 The map shows that USA by far outnumbers other countries in the top 100 universities according to CWUR. My latest script for this analysis can be found on Kaggle.